The Offshore Oil & Gas industry is part of this country’s critical infrastructure and the contribution the offshore workforce makes to the strength of our nation can never be understated. However, since the downturn in 2015 offshore workers, be they employed by one of the operators, contractors, drillers or caterers, have been under continuous attack from the employers and their investors. Even though the price of oil has recovered and remained stable throughout 2018, there is no meaningful sign that the benefits of recovery are being shared with the offshore workforce. In this edition Unite Offshore outlines the main structural problems for members and workers currently employed offshore. From insecure employment contracts, through to the damaging 3&3 rota, mental health and wellbeing and offshore health and safety, one major issue leads to yet another major issue. To raise awareness of and assist in tackling the causes of mental ill-health and serious problems with mental wellbeing that affect the offshore workforce. 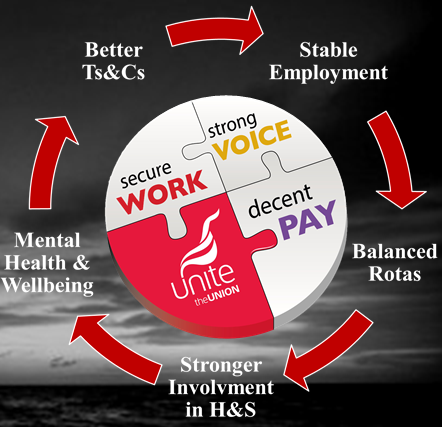 Unite Offshore is calling upon all offshore workers to get active and get involved. Over the next 2-3 months we will be engaging in a large scale dialogue on how we fight for a better, fairer, safer and more sustainable industry that works for you, the offshore worker. Your future is in your hands. 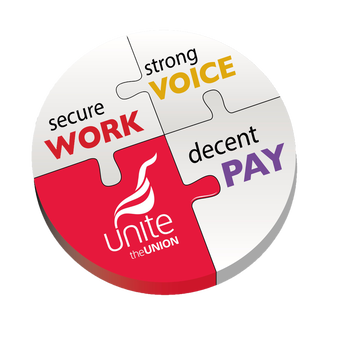 You have the backing of the largest trade union offshore but only by standing together can we turn the vision for a better future into a reality.